Virgin America has reported its financial results for the fourth quarter of 2012, full-year 2012, and the first quarter of 2013. The airline reported its first-ever fourth quarter operating profit in the quarter ending in December 2012, with a 4.4 point improvement in operating margin over the fourth quarter of 2011. Virgin America said it improved financial results in the first quarter of 2013, significantly narrowing its operating loss from the same period the year prior. For the first quarter of 2013, Virgin America reported a 69 percent year-over-year improvement in operating results compared with the first quarter of 2012, driven by an 18 percent growth in RASM. Virgin America achieved its first-ever fourth quarter operating profit with $5.1 million of operating income, an improvement of $13.2 million, compared with the fourth quarter of 2011. Fourth quarter revenue per available seat mile (RASM) increased by 9 percent, the highest in the domestic industry. Available seat miles (ASMs) increased by 16 percent, primarily the result of increases to the fleet size early in 2012. The airline recorded operating revenues of $350.4 million in the fourth quarter, a year-over-year increase of 27 percent. Its average fare increased 14 percent year-over-year. Cost per available seat mile (CASM) excluding fuel increased by 6 percent compared to the year earlier quarter, largely a result of the airline's change in strategy to reduce aircraft utilization and eliminate seasonally weaker frequencies.The average fuel cost per gallon during the quarter was $3.00, a decline of 6 percent year-over-year. EBITDAR increased to $65.1 million in the fourth quarter, a year-over-year improvement of 54 percent. The airline held $76 million in unrestricted cash as of December 31, 2012. In its 1st quarter, 2013, Virgin America says it reduced its operating loss by $33.6 million or 69 percent year-over-year, posting a modest operating loss of $15 million. The Company says it significantly outpaced the entire U.S. airline industry with year-over-year RASM growth of 18 percent. ASMs decreased by 4 percent year-over-year, as the airline focused on improving its schedule for business travelers and eliminating seasonally weak frequencies during the winter. Virgin America's average fare increased by 19 percent over the year earlier quarter, continuing the trend demonstrated in the fourth quarter of 2012. Operating revenues for 1Q 2013 were $301.3 million, an increase of 13 percent from the first quarter of 2012. CASM excluding fuel increased by 8 percent year-over-year, primarily due to reduced utilization of the fleet. EBITDAR increased seven fold to $44.7 million from $6.5 million in the same period a year-ago. Unrestricted cash was $58 million as of March 31, 2013. "We're pleased with our first-ever fourth quarter operating profit and the progress we have seen in the first quarter – traditionally the most challenging period for our industry," said David Cush, Virgin America's President and CEO. "Our improved financial performance reflects the changes we made last year to optimize our winter network schedule as we slow our growth. And it also reflects the growing guest awareness and loyalty we've seen as our network has grown. We've always said that once people fly us, they stick with us – and show a preference for our service. Our industry-leading RASM growth for the past six months is a testament to that and to the work of a team that has truly delivered on the promise of creating the best guest experience in the skies." The airline's full-year 2012 operating loss was $31.7 million. The Company's operating margin for 2012 improved by 0.2 points, to (2.4) percent, compared with 2011. Year-over-year, revenue grew by 29 percent in 2012, to $1.3 billion, on a 27 percent increase in capacity. Virgin America added six Airbus A320 family aircraft to its fleet during 2012, ending the year with an operating fleet of 52 aircraft. 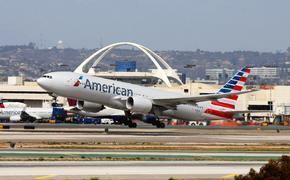 The airline ended 2012 with $76 million in unrestricted cash. "With the strong improvement in first quarter 2013 financial performance, we are on track for a significant operating profit for the full year," said David Cush. "The agreements reached with our investors enhance the improvements we are seeing in our business, and are a first step in modifying the Company's capital structure to one more in line with public companies. With this solid improvement to our capital structure, we now expect to achieve a net profit in the second half of 2013, and are well positioned for sustained healthy financial performance in 2014 and beyond." Although a privately held company, Virgin America is announcing these financial results in advance of the DOT quarterly reports.